Trio: Plant-Based Food for Everyone! A new vegan restaurant is set to open in the Twin Cities later this year. 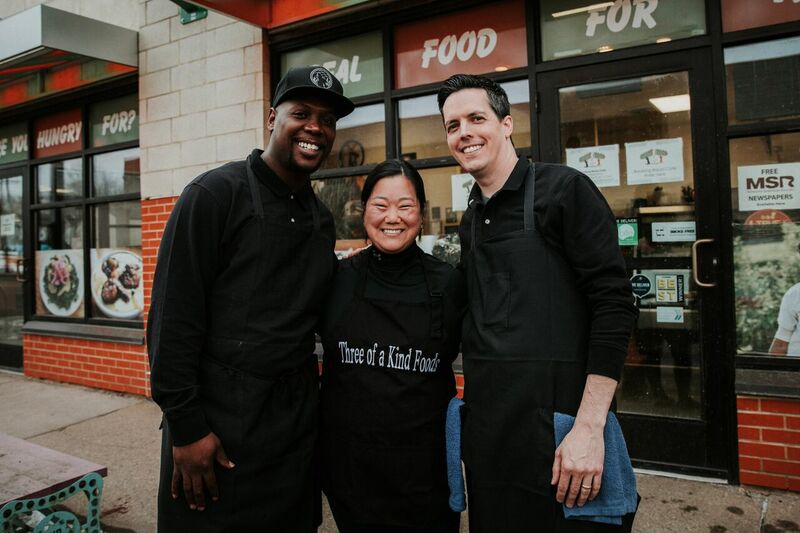 Trio, co-founded by Sarah and Dan Woodcock and their friend, Louis Hunter, has already hyped up the vegan and foodie communities, evidenced by sold-out pop-up dinners based out of their shared North Minneapolis commercial kitchen. Sarah Woodcock has received compliments on her food for years. When she went vegan six years ago, she was determined to create delicious plant-based food. Her years of practice have paid off. 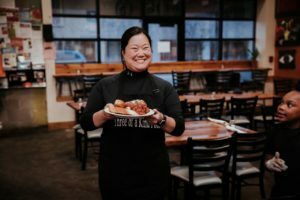 One guest complimented Sarah at a recent pop-up, saying that her lasagna was the best she had ever had. Made with ground “beaf,” homemade pasta sauce, and homemade ricotta and parmesan “cheeze,” it is the dish that Sarah is most excited about sharing. The Trio menu will also feature chapchae, a Korean dish, made vegan. The next step for Trio is raising funds in order to purchase specific equipment and establish a good foundation for their operations. Their Kickstarter campaign started March 31 and runs for thirty days. 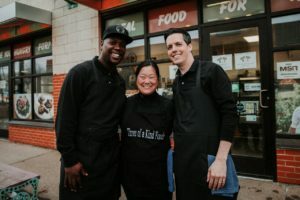 The three hope to raise enough to secure a location and open as soon as possible once that location is customized to meet their needs. 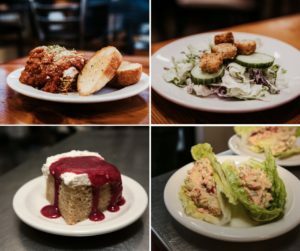 All of us at CAA are thrilled to learn about Trio, yet another veg-friendly restaurant for the Twin Cities. It means that those in the area will have more options for vegan dining. We’re especially excited that this new venue aims to reach a diverse spectrum of patrons, giving even more people the opportunity to make choices that reflect their values of kindness and compassion for all. We encourage you to support Trio’s Kickstarter campaign, which runs through the end of the month.